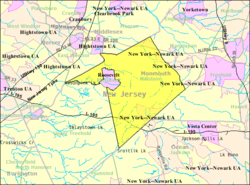 Millstone Township is located in the southwestern section of Monmouth County New Jersey. The residents still enjoy the beautiful landscape our town's forefathers enjoyed centuries ago. Our first residents were the Lenape Indians. Later the Europeans came to clear land for homesteads, which in turn became our farmlands of today. Our town is named after the Millstone River that originates in the Township. The river was first named by the Lenape Indians as the Mattawong and later renamed by early settlers as Millstone River. Seven waterways originate in this area. Millstone River, Rocky Brook, Ivanhoe Brook, Manalapan Brook, Assunpink Creek, Toms River and Doctors Creek. Our Township is rich in history and we take pride in boasting about our past. During the American Revolutionary War our Township held a secret post for the Continental army. It was called Signal Beacon #21. That was made possible because our landscape contains many high hills. General George Washington used the Rising Sun Tavern as an outpost during the war. The British General Sir Henry Clinton made his headquarters here also. The tavern was our first place of business, accommodating such travelers as Benjamin Franklin and Joseph Bonaparte. Unfortunately, this historic building was lost to age many years ago, and now only exists in pictures and words. 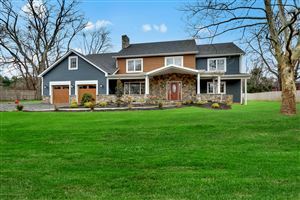 It was located on a Stagecoach route and used by many weary travelers as a main route to Philadelphia and a direct route to Freehold. Our two time Governor of New Jersey, Joel Parker, was born in our area. Another piece of history is the fact that President Theodore Roosevelt enjoyed our countryside surrounding so much; he had a presidential retreat here. Our surrounding roads contained stories and folklore filled with riches of our past. One such road is called Paint Island Spring. It was named early in the 1800’s for it’s now long forgotten spring that rest on the side of the road. At one time it was use by the Indians for the attractive colors it produced. Later doctors prescribed its waters for medicinal purposes. It was once so visited that it became a park for all to enjoy. Today we take an active role in saving our town's heritage. We have two buildings that are listed on the National Register of historic places. They are the Clarksburg Episcopal Methodist Church that was built in 1845 and now owned by the Township. The second is the Clarksburg four-room schoolhouse that was built in 1923 and presently is the new home for all the municipal offices.